Most high-school sophomores hope to score a job at Starbucks or the movie theatre. 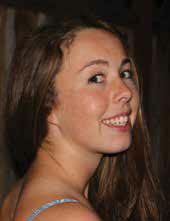 Fifteen-year-old Audrey Mullen flew a little higher when she created her own business, Kite Reviews (kitereviews.com), to offer real-student analysis of popular edtech software. I first started Kite last summer when my dad was consulting for an app company and asked me to tell him my thoughts on one of the products. He showed the owners my review and they found it very eye-opening. After I spoke on an ISTE 2015 panel about the importance of student voice in edtech, multiple companies approached me, asking for their own reviews. Audrey Mullen and Kite Review assist BrainPop and AllCanCode through a group feedback session. How can educators use a service like Kite? We are an inside look into the mind of a student. Teachers use our services to understand what students like and what they don’t. We are not coders or super-users; we review products that we use every day. In 2014–15 alone, our classroom life involved use of BrainPOP, All Can Code, Canvas, Notability, Google for Education, MasteryConnect, Socrative, Khan Academy, IXL Math, Newsela, Quizlet, multiple OER databases, Bandcamp, and more than a dozen others. Kite is a quick way to get genuine feedback on the effectiveness of new tools for learning. Why do you think a student can offer a better review than a professional focus group? We are the audience edtech companies are selling to. A Kite reviewer doesn’t have to “think like a student,” because we are students! Digital products and apps either work or they don’t. They connect with you, or they don’t. As students, we can easily see and articulate where an app succeeds and where it falls short. We charge per project basis (it normally comes out to $25 per hour per student) for interviews, reviews, or for group feedback sessions with up to ten students. The testers earn a percentage of the total fee. I reach out to peers at my school and other students I know through extracurricular activities. Because I went to public school for eight years and currently go to a private 1:1 school, I am able to tap into students from all different kinds of schooling backgrounds. When a company asks for younger testers for elementary-level products, I reach out to the kids in my neighborhood and my friends’ younger siblings. Most parents are excited their child is doing something that involves working for a kid-run business, so I have never had issues regarding parental permission. What are your plans for the future? Have you considered franchising the concept to a wider audience? We are not very big. We are able to tap kids in our community of all ages, based on customer needs. Since we are in the heart of Silicon Valley, most of our clients are local. If the client isn’t local, we either video chat or record the entire review and send it digitally. I do plan on expanding Kite to review not only edtech products, but all products whose audience is K–12 students.